Yes, the brand new Apple TV is now on sale – complete with all the new goodies such as the fast A8 chip for all the games you’ll be playing as well as the Siri remote. This new model with revealed along side the iPhone 6s and iPad Pro but we only knew that it would be released “Later this fall.” As we come to the end of October now, Tim Cook revealed last week the the 4th generation Apple TV would go on sale today and here we are, it’s now available starting at £129/$149 for the 32GB model and £169/$199 of the 64GB model. The new Apple TV runs the new tvOS which is heavily based on iOS for the look and feel, including the animations. It features a much more powerful chipset than the previous version. The old Apple TV sported the A5 chip from the iPhone 4s and iPad Air 2. The 4th gen has the super fast A8 chip with the 64-bit architecture, from the iPhone 6. The A8 chip also has 2GB RAM onboard. The new Apple TV also features a completely redesigned remote for navigating tvOS. It ditches the old style D-Pad for a touch pad up top, which the user can use to swipe through the interface very much like a iPhone – something Apple is trying to do. 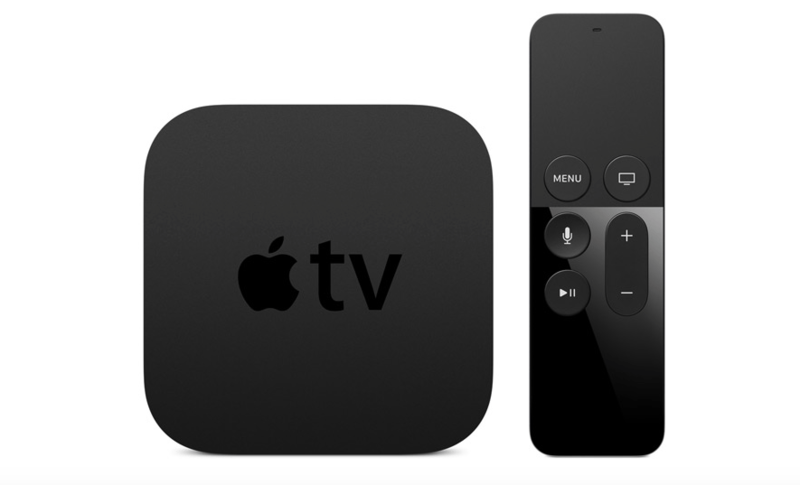 Something which will be especially useful is the addition of the volume buttons and power for the TV, this means that in most cases you won’t need the standard TV remote to watch Netflix on the Apple TV. While the whole interface has been revamped, Apple is pushing the use of Siri to find shows to watch and navigate the apps. The remote features dual microphones and a dedicated button to invoke the assistant. Apple is also selling additional Siri Remotes for £65 and remote loops for use when playing games, additionally the accessory page for the Apple TV on the Apple website highlights game pads to use with certain games.